January 25, 2019 2:49 pm. Ka Ying Star heads into Hong Kong Classic Mile with a one from one record following an eye-catching Sha Tin debut three weeks ago, but the British import will face 13 talented peers in Sunday’s (27 January) feature, five of them from the burgeoning Frankie Lor stable. Jockey Vincent Ho was the man in the plate for the Cityscape gelding’s all-the-way debut at the course and distance. Trainer Tony Cruz has retained faith in the HKJC Apprentice Jockeys’ School graduate – currently fourth in the premiership with 27 wins – but horse and rider must overcome gate 14, the widest of all, if they are to claim the spoils. If that is to be the plan, Ho believes he might find one or two of the Lor cohort vying for the same spot. “A couple of Frankie’s horses might go on because they’ll need a good pace for Dark Dream,” he said. Lor’s quintet represents the most any handler has saddled up for the Four-Year-Old Classic Series first leg and includes the Classic crop’s current high-weight, Dark Dream, a G1 winner already thanks to a score in the Queensland Derby (2200m) last June. Dark Dream is currently rated 14 points superior to Ka Ying Star, who raced as Urban Aspect for trainer Andrew Balding in England. But Ho has no doubt that his mount is a high-class performer. “He’s a Group horse, definitely,” he said. “He was very relaxed in his first run. He’s still a baby but out in front he was very relaxed and that’s why he could produce 22.03 seconds the last section. Lor, meanwhile, has a shade of a concern about Dark Dream dropping back to a mile for his third Hong Kong start, having impressed with an easy 2000m success at the end of last month. “His form is good, the only thing is he’s back to 1600 metres which may be a little bit short for him but we need to try,” the high-flying second-season handler said. Dark Dream, too, must overcome a wide gate with 12 being Silvestre de Sousa’s mount’s allotted berth. “First start he was drawn gate 12 so I think we need to go to midfield with him, not too far back because there’s not too much pace in the race. I’ll talk to de Sousa and see what we want to do,” Lor said. The trainer has another leading contender in the G1 Rosehill Guineas (2000m) third Furore, who filled that same position behind Ka Ying Star last time. Hugh Bowman has been called in to ride the Pierro gelding and got to know his partner during a recent flying visit. “I put Hugh Bowman on last Sunday, he galloped the horse and he was in good form. He came good his last race and it’s been step by step so this time should be much better,” Lor said. Superich is another Lor candidate. Champion Jockey Zac Purton takes the ride on the three-time Hong Kong winner who attempts 1600m for the first time. “Last time the 1400 metres looked like it was a little bit short so I think 1600 should be suitable,” Lor said. 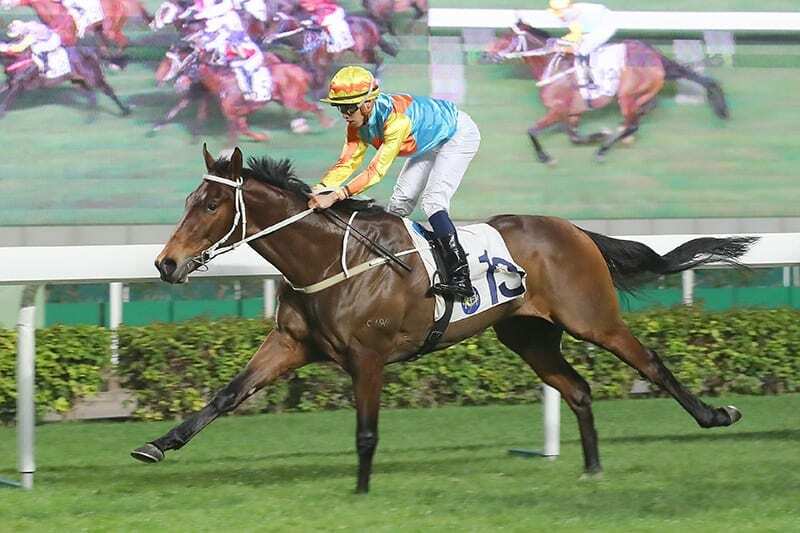 The Hong Kong Classic Mile also features the Cruz-trained Packing Warrior and Gold Win; Tigre Du Terre and Green Luck from the Caspar Fownes stable; the John Size-trained Mr So And So; Charity Go and Harmony Victory from the Danny Shum yard and the John Moore-trained Easy Go Easy Win. The three-race Four-Year-Old Classic Series continues with the Hong Kong Classic Cup on 17 February and the BMW Hong Kong Derby on 17 March.